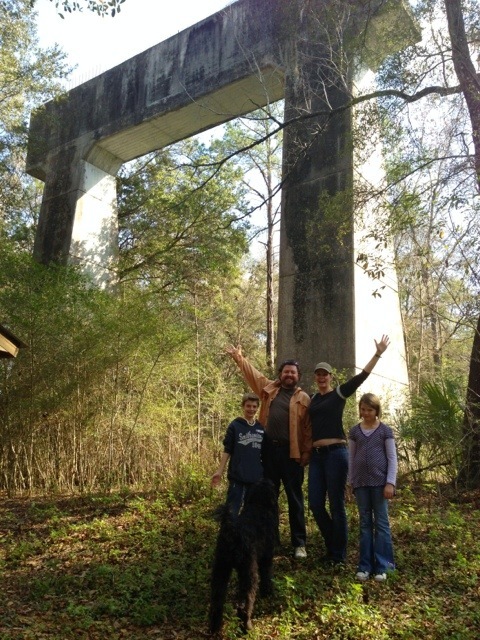 Roadside Oddities – Concrete Monoliths, Ocala FL | Hey RV There Yet? Deep within a forested highway median are ancient concrete monoliths. Without written history one would think they were ancient gateways built by aliens. Instead they are just remnants of a bridge to nowhere, built by our government in the 1930’s. They were planning on having a Florida Cargo Canal (think Panama Canal, but in Florida). 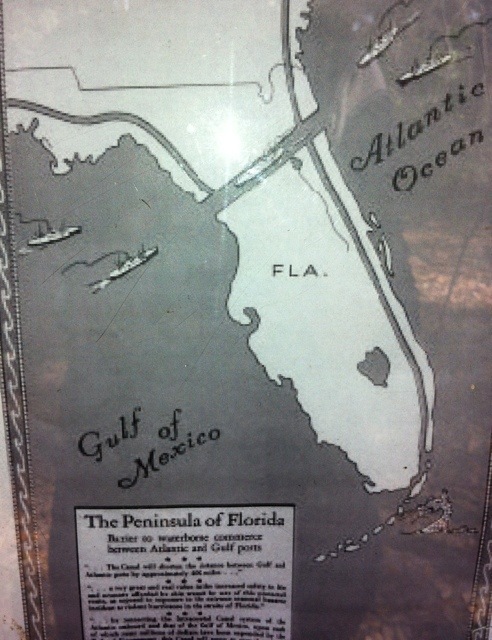 The canal would connect the Atlantic to the Gulf of Mexico and would save having to transverse around the tip of Florida. 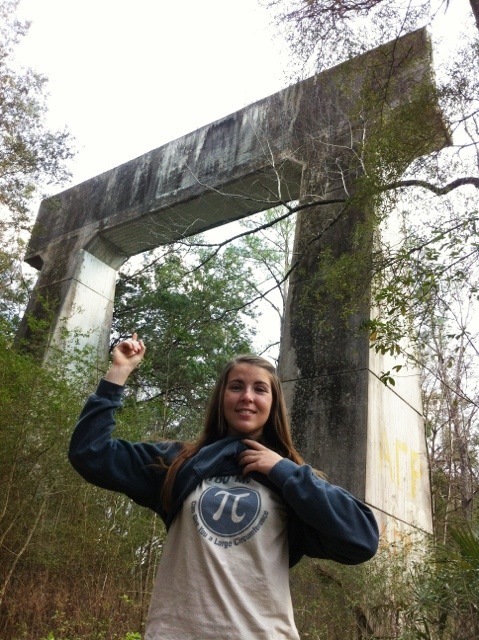 Brooke is studying geometry and think it looks like a pi symbol. This entry was posted in Roadside Oddities. Bookmark the permalink.